Rush Hill is the 1398th highest place in Ireland. 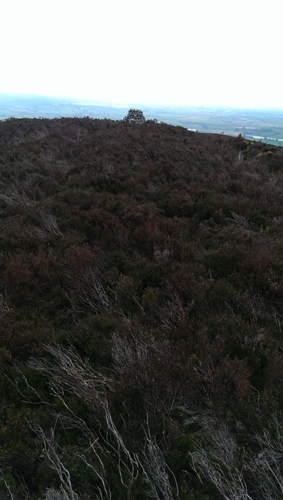 Rush Hill is the most westerly summit in the North Midlands area. Picture from sandman : Summit Area Marker . Picture: Summit Area Marker . Park just after forest starts there is room for on car here (M24099 88719 B) walk back to the three small fields beside forest and proceed to top of fields where there is a few rough tracks on short little climb to large cairn at summit really wonderful views from here.